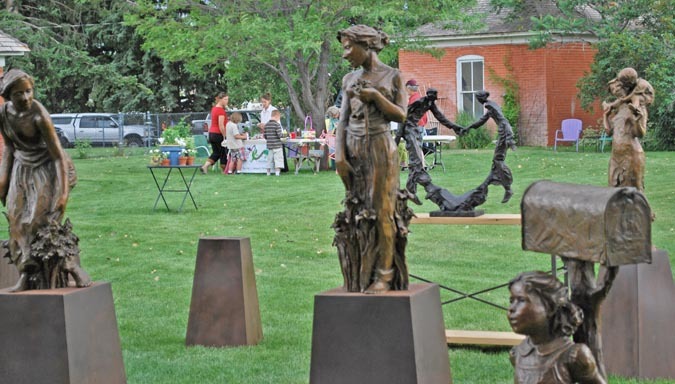 In spite of uncooperative weather, the first annual Berthoud Art in the Garden was a huge success on Saturday, June 26. 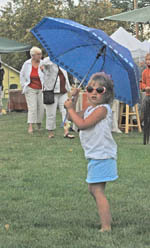 The artists arriving at the set up time of 1:30 p.m. were greeted by gusty winds, drizzling rain and then a final downpour before the sun came out at the historic Waggener Farm on Mountain Avenue. But the show went on. 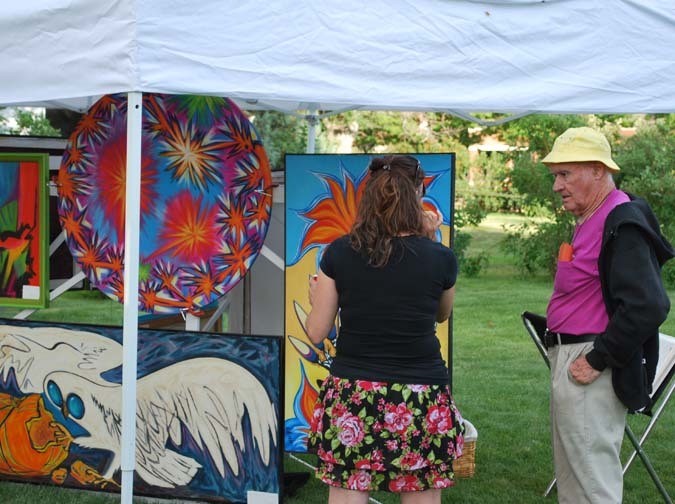 Over 25 painters, sculptors and photographers were good sports, stuck it out and had an overall positive experience as the event went on to its announced ending time of 8 p.m. 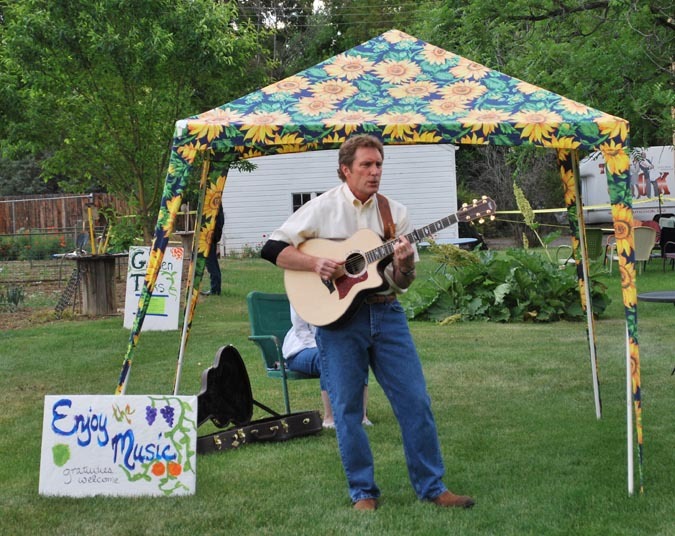 Musicians Nathaniel Ver Steeg, Tim Karl, Tom Schaffer and Steve Simpson entertained throughout the day, even as the rain fell. The most popular gardening talk seemed to be Heirloom Roses with Charlotte Hardy, but Xeriscaping with Jim Doyle of Imagine Green Design and Edible Landscaping with Marlin & Barbara Ann McMonigal were well attended, and Waggener Farm owner and grand mistress of the garden, Jane Vielehr, gave two guided tours through her magnificent garden, discussing her planting methods and her successful yield of flowers and vegetables year after year. Attorney at Law J. Mitchell Tacy ; Berthoud Area Chamber of Commerce; Berthoud Athletic Club; Berthoud Dance Company; Berthoud Recorder Online; Berthoud Wine & Spirits; EnergyLogic Inc; GrafikNature; Guaranty Bank; Hays Market; Herb’s Medicinals; Indigo Sky Trading Company; Lawn Air; Main Street Car Care & Quick Lube; Main Street Station Eatery; Oasis Holistic Health; Picture This Framing; Prairie Star; Websites by Jen; Wildfire Community Arts Center. Metal sculpture by Zink Metal Art, Janet Kohl; $25 Gift Certificate from Gateway Garden & Home, M.E. Tonsing; $10 Gift Certificate from Indigo Sky Trading Co., Breanne Dimock; $10 Gift Certificate from Indigo Sky Trading Co., Mary Boettcher; $10 Gift Certificate from Gulley Greenhouse and Garden Center in Fort Collins, Art Johnson; $10 Gift Certificate from Gulley Greenhouse and Garden Center in Fort Collins, Jaymi Devane. 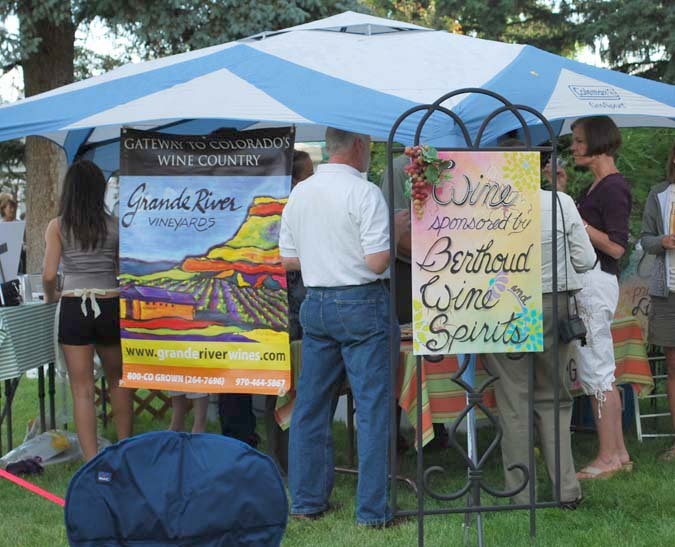 Aided by a team of dedicated volunteers, the event was a success for the co-sponsors, Berthoud Arts and Humanities Alliance and Citizens First, a Berthoud civic group. 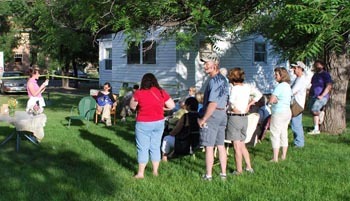 There was praise and admiration from the participating artists who have missed showing their work in the community. There was also a great deal of recognition from the public concerning the high quality of the work displayed. 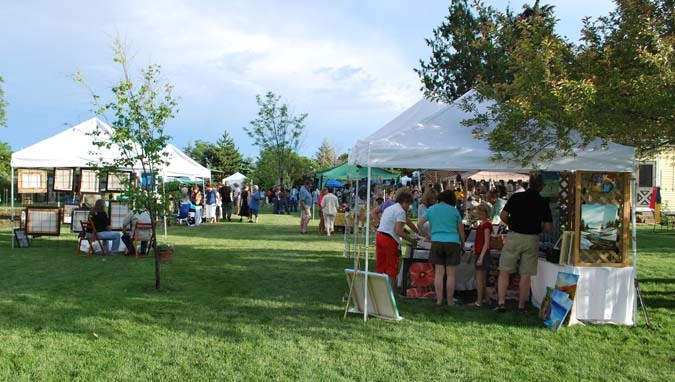 Plans will soon be underway for next year’s event. Site contents copyright © 2019 Recorder Online	except as noted. All rights reserved. | 93 queries in 1.360 seconds.